The financial experts say it all the time: You should check your credit reports and scores before buying a home. But they don’t always explain why it’s so important — at least, not in sufficient detail. So let’s dig a little deeper. This article explains (A) what credit reports and scores are, (B) how they work, and (C) how they can affect you during the home buying process. Credit Report — This is simply a record of your previous financial activity. It contains information about the accounts you’ve held in the past (dating back several years), as well as the accounts you currently have open. By “accounts,” I am referring to such things as credit cards, personal loans, student loans, mortgages, etc. Your credit reports also contain negative / derogatory information relating to these accounts. Examples include late payments, bankruptcy filings, debt collections, foreclosures and the like. You actually have three reports, because there are three companies in the United States that gather and sell this kind of data. The three companies are Experian, TransUnion and Equifax. Credit Score — This three-digit number is based on the information compiled within your credit reports. The information is run through a computerized algorithm that converts it into a score. The FICO scoring system is the most common scoring system in use today. When you hear mortgage lenders talk about “your credit score,” they are usually referring to your FICO score in particular. The FICO range goes from 300 to 850. Higher is better. Why do you need to check your credit reports and scores before buying a home? Well, if you’re paying cash for the house, your credit score doesn’t matter at all. You don’t need to obtain third-party financing. You don’t need to submit a loan application or be approved by a mortgage lender. You’ve got the financing covered already. So your credit situation is basically a non-issue. But the fact that you are reading this article right now suggests that you (like most home buyers) lack the funds to purchase a house outright. That means you must use a mortgage loan to bridge the gap. In a typical home-buying scenario, it is the lender who covers the majority of the purchase — not the home buyer. So the lender carries most of the risk from the purchase. This is where credit reports and scores come into the picture. In short, they have the potential to make or break your chances of getting a loan. Your credit score gives lenders a quick and easy way to measure the amount of risk you bring as a borrower. Instead of wading through the pages of information found within your credit reports, they can simply check your score. A high score shows that you have borrowed and repaid your debts responsibly in the past. This kind of pattern will work in your favor when buying a home. It will help you get approved for financing. A low score indicates that you may have had credit problems in the past, such as failing to pay your bills on time, or failing to repay a debt in full. Obviously, these are major concerns for a lender who is considering you for a home loan. Translation: A lower score will also lower your chances of getting approved for a mortgage. So it’s wise to check your credit situation before buying a home, to find out where you stand (and to make improvements, if needed). Earlier, I explained that your credit score is derived from the information contained within your reports. So it’s important to make sure this information is correct. 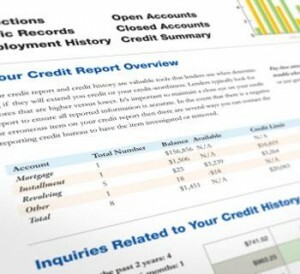 You can request all three reports at once, for free, by visiting AnnualCreditReport.com. This website is monitored and regulated by the Federal Trade Commission (FTC). So it’s the safest one to use. When checking your credit reports, you are actually looking for several things. Mainly, you are looking for errors and inaccuracies. Past studies have shown that a significant number of consumer credit reports contain errors of some kind. The exact percentage is in dispute, but that’s beside the point. All you need to know is that there is a chance your credit reports will contain one or more errors. And that’s reason enough to check them for accuracy, especially before buying a home and applying for a mortgage loan. The first section will contain basic information such as your name, address, date of birth, and Social Security Number. Check this information for accuracy, especially your name and SSN. If either of those items is incorrect, it could affect the rest of your report (and the score that is derived from it). Errors might occur within a single bureau report, or across all three of them — TransUnion, Equifax and Experian. That’s why you should check them all. You’ll also see a section for public records. This will include any legal judgments of a financial nature that have been made against you. Examples include tax liens, wage garnishments and bankruptcy filings. If you’ve never had any of these judgments in the past, this section should be empty. You’ll also see a section called “credit history” or “accounts,” or something to that effect. This is one of the most important parts of your report, because it has the biggest effect on your overall score. This section contains a record of credit accounts you’ve had in the past, as well as any current accounts you have open. Credit cards, retail charge cards, personal loans, and other forms of debt will show up in this section. But more important than the accounts themselves is the manner in which you have repaid them. This is really what drives your credit score. For instance, a single 90-day late payment on a retail charge card could lower your FICO score by 50 – 90 points, depending on the scenario. This is a good place to discuss the difference between legitimate and erroneous entries on a credit report. Late payments, delinquencies and defaults are bad. We’ve covered that already. In some cases, you can have these negative entries removed. In other cases, there’s really nothing you can do about them. Consider the two scenarios below. Scenario 1 — Let’s say I check my reports from all three bureaus, and I find a late payment from a credit card on my TransUnion report. It’s a Capital One card that was opened in 2010. But wait a minute. I don’t even own a Capital One card. Clearly, this is some kind of mistake. But even though it’s a mistake, it could be dragging down my credit score. So I need to take immediate action. I would start by visiting the “Disputes” section of the TransUnion website. I would fill out a dispute form to point out the mistake. The credit-reporting companies are obligated by law to investigate such mistakes, and to remove the item in question if (A) it turns out to be a mistake or (B) they cannot make a determination one way or the other. Scenario 2 — Let’s say I find another late payment on my credit report, but this one is legitimate. Maybe I had trouble covering all of my bills that month, so I skipped my Visa card payment. Whatever the reason, it was a legitimate delinquency on my part. In this case, the item can stay on my report for up to seven years. After seven years, it must be removed. These guidelines are spelled out by the Fair Credit Reporting Act (FCRA), which is enforced by the Federal Trade Commission. So, if the late payment is only two or three years old — and it was a legitimate occurrence — there’s not much I can do about it. The entry will probably stay on my report until it reaches the seven-year mark. Fortunately, the damage it does to my credit score will lesson over time, even while the item remains on my report. So it’s not the end of the world. We’re getting into the weeds here. The point of this article is to explain why you should check your credit reports and scores before buying a house. At this point, you’ll probably agree that it makes sense to do so. When you add in the fact that you can check your reports once a year for free, it becomes something of a no-brainer. You’ll probably have to pay a small fee for the scores though — they usually cost about $20 each (TransUnion, Equifax, Experian) on the MyFICO.com website.